In less than eight weeks my ten year old daughter and I will be travelling to Cusco, Peru to volunteer in the local conservation zoo. As volunteers, we will be based in the ancient city of Cusco, near the Sacred Valley of the Andes mountain range and only a few hours from Peru’s most famous landmark, Machu Picchu. We plan to visit the surrounding area, the captivating landscapes such as the Sacred Valley, markets and take a two day tour to Machu Picchu. Cusco sits at an altitude of around 3,500m with a semi-dry and cold climate and we can expect temperatures of 21°C down to 1°C. The capital and largest city of Peru, Lima, is a 1 hour flight or approximately 22 hour bus ride away from Cusco. Many people think of it as a small village, Cusco is actually a bustling city of 400,000 people. 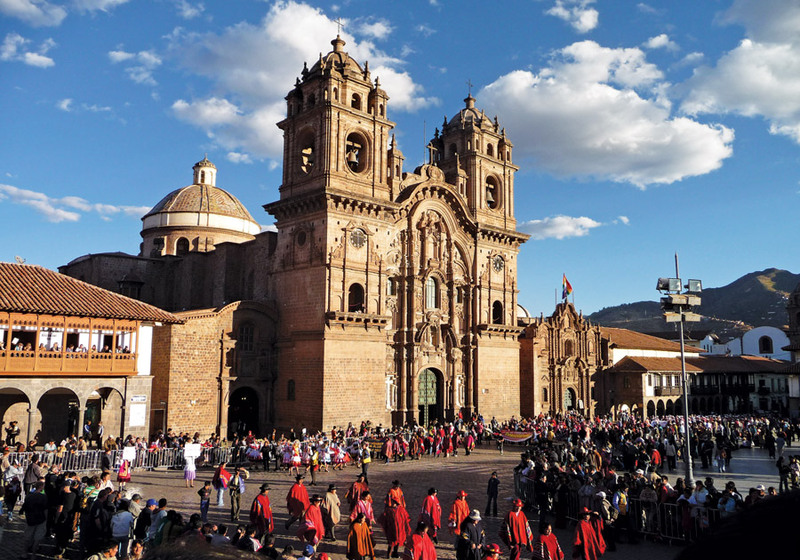 Seductive, striking and natural, Cusco’s history lives in its streets, squares, valleys and towns. There is a plethora of museums, markets, cultural and historical sites within the city limits that are easily accessible and visited. ‘Weird and Wonderful things at Cuscos San Pedro market’ , not your usual display of fruit and veg – especially numbers 1 to 6! Copyright © 2019 The Apple & Cart.